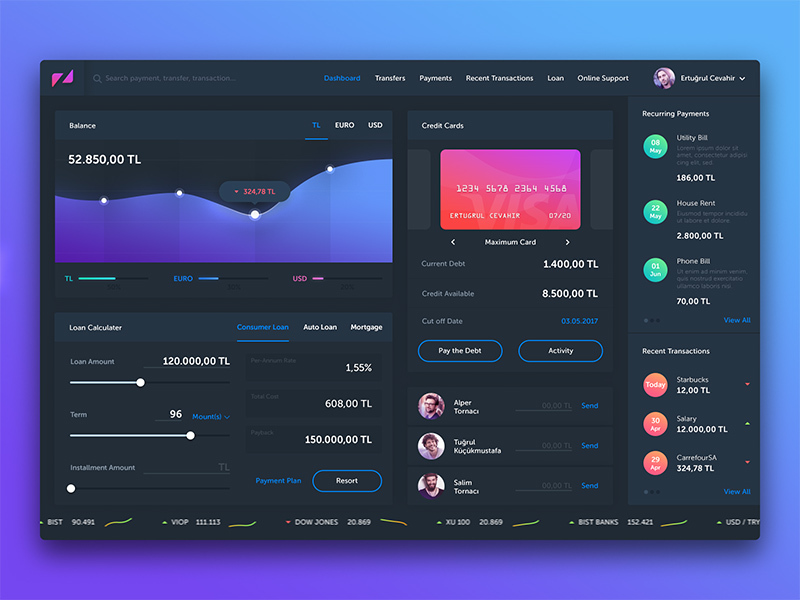 Online Banking Dashboard is a free PSD interface kit.Download MISC. Today we have for you psd UI element. Online Banking Dashboard is a clean, responsive design and totally free for maximized editability and ease of use. This MISC perfect for analytics, chart, dashboard, finance, freebie, money, psd, ui, ux. In the PSD you will find many UI elements that you can freely create your own styles.